You awake in the middle of the night when an angry mob storms through the village. Soon you find yourself caught in a witch hunt. 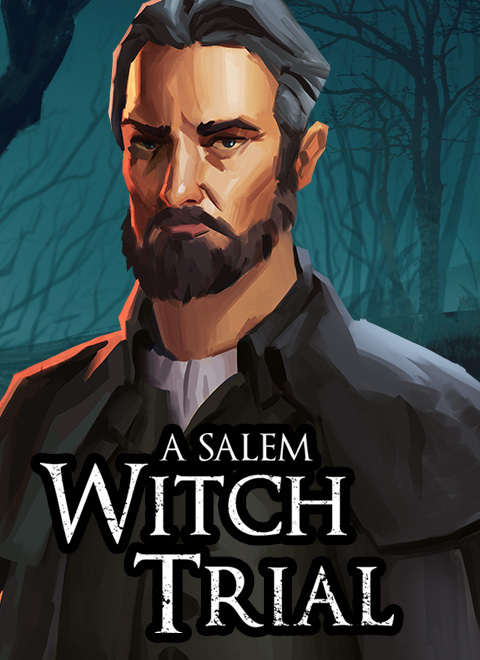 Investigate the circumstances that lead to the witch accusations, unravel the clues to uncover what's really going on Salem and find the one responsible. A gothic murder mystery visual novel that delivers a short compact narrative. You must investigate the crime and sieve through the evidence the witnesses provide, deduct an outcome and piece together the bigger picture. There are multiple characters that you can accuse of the crime so you'll need to be thorough to connect all the evidence together. Gorgeous hand painted 2D art. A comprehensive short story that delivers a creepy atmosphere. Classic text-based adventure taken to a dark place. Extensive art gallery detailing the evolution of the world. Its up to you to sieve through the evidence and work out the mystery. Deduce your theory and come up with a conclusion. Different endings depending on your choices. Original soundtrack by Callum Strachan. To promote A Salem Witch Trial - Murder Mystery and grow its popularity (top games), use the embed code provided on your homepage, blog, forums and elsewhere you desire. Or try our widget.